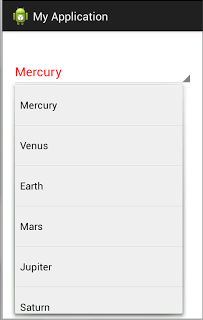 how to set string value in spinner in android . I have a update view, where I need to preselect the value stored in database for a Spinner.... I'm having problems with setting text color for the Spinner. I've seen few examples but most have ArrayAdapter and String array from strings.xml in res folder as my Spinner's items are retrieved from SQLite Database so I think it may not help. If your spinner is using an ArrayAdapter, you can simply pass a custom layout for your spinner items. 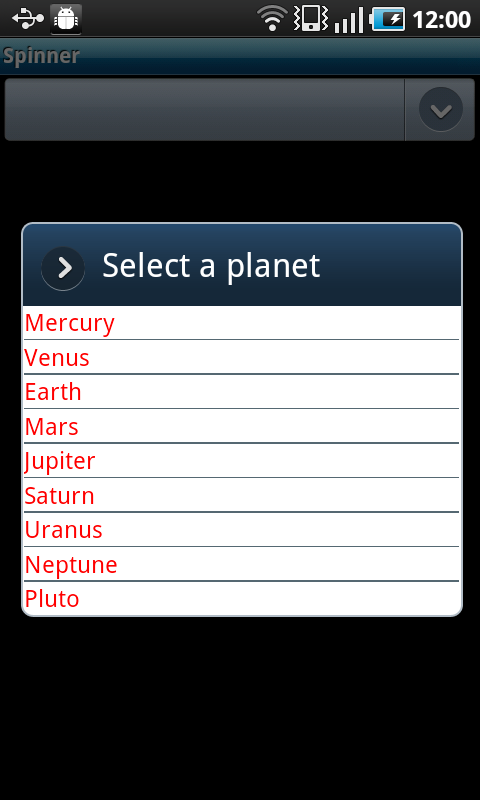 That layout can be a simple textView but with the android:textColor attribute. 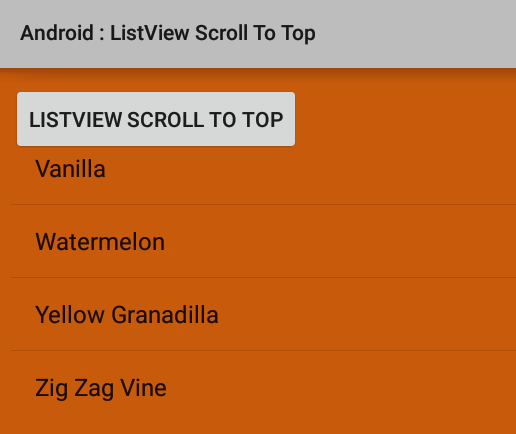 Alternatively, this text color could be directly applied to TextViews in an app, but using the reference makes it flexible if the text color needed to change, the theme is updated, or another theme sets android:textColorPrimary in XML or at runtime.